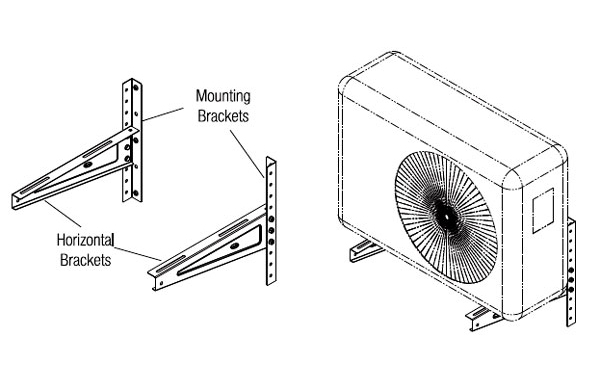 Adjustment provided for different sizes of AC out door units. 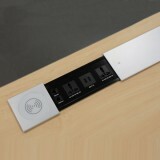 The wall onto which the mounting plate is attached must be of solid wood, brick work or concrete only. Do not Mount on plywood, blackboard etc. 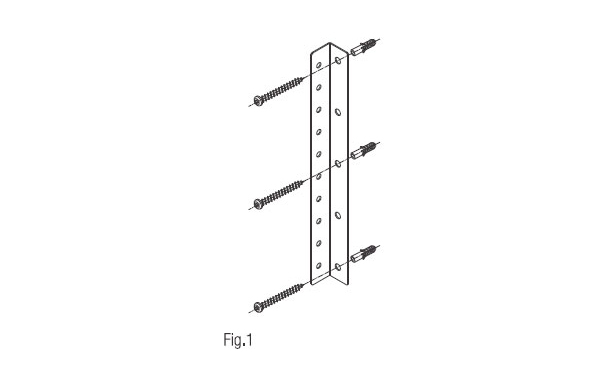 Fix the Mounting Bracket on to the wall using Screws & Wall plugs as shown in Fig.1. 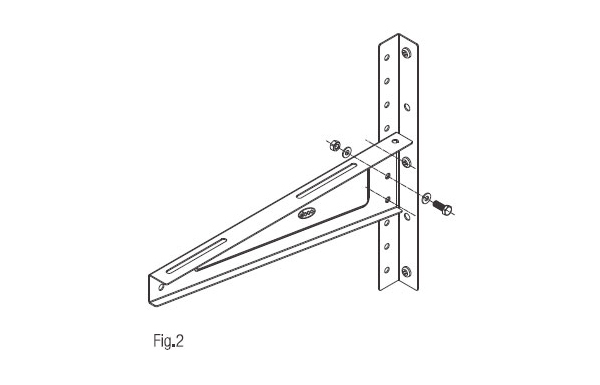 Fit the Horizontal Bracket onto the Mounting Bracket at desired Height with the Bolts, Washers & Nuts provided as shown in Fig.2. 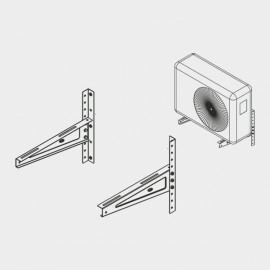 Place the AC out Door unit on the Horizontal Bracket & Fix it, AC out Door Unit can be adjusted within the Slots Provided on Horizontal Bracket.